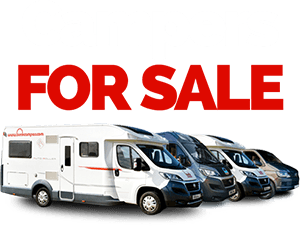 Campervan rental gives you all the amenities you need for the life of an explorer so that you can Live, Eat, Sleep, Drive, Bunk. You can shop at supermarket prices and store and cook your own food using the onboard fridge, cooker facilities and full kitchen kit. That means you can eat what you like without paying restaurant prices. There are so many sites to see that it’s best to create your own road trip and see Ireland as it should be seen. Go where you want, when you want, without the need of the set itinerary of a group tour. Combining transport with accommodation means you’ll need much less planning compared to car hire. 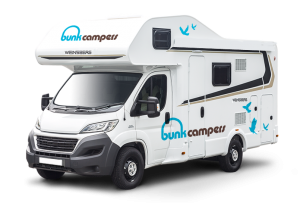 Go anywhere in Ireland with campervan rental from Bunk Campers. With 100’s of campsites across the island you can discover Ireland off the beaten track and always have somewhere safe to sleep. 80% of our customers travel to Ireland from overseas and easily adapt to the Irish roads. 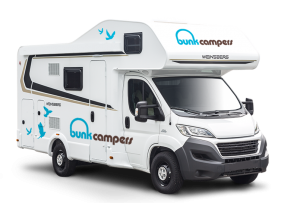 You can drive far and wide in your Bunk Campervan taking advantage of unlimited mileage, an average Bunk customer clocks up over 800kms on their campervan hire trip! 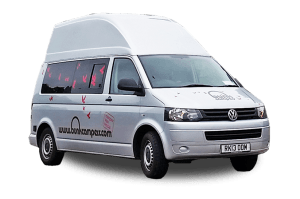 Campervan hire combines transport with accommodation. You can unpack your bags the day that you arrive and store your belongings safely in your Bunk Campervan for hire. So unlike a Car Hire holiday there’s no need to pack and unpack at every destination along the way. 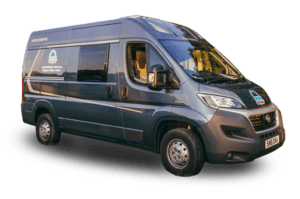 Competitive campervan hire rates mean you can see the island on a budget by combining transport and accommodation in one and catering for yourself. 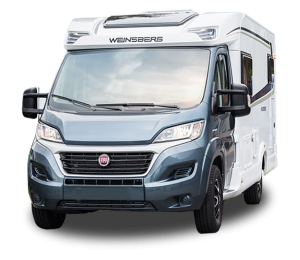 Since our vehicles are smaller than conventional Motorhomes they are perfect for driving on Ireland’s narrow roads, they are also very economical on fuel, limiting your travel costs. Ireland’s climate can be unpredictable, but locals know that the best chance of sunshine comes in May, the ideal time to see the country. When it does rain there is plenty of room to shelter in your Bunk Campervan. Bunk Up with your favourite music using onboard CD and MP3 player connectivity, or watch a classic movie using a Bunk Campers DVD player. You can use our online availability check, booking and payment system. 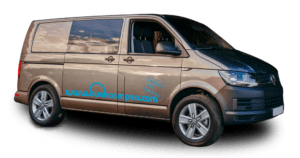 One stop booking on our website www.bunkcampers.com makes campervan hire simple and easy. 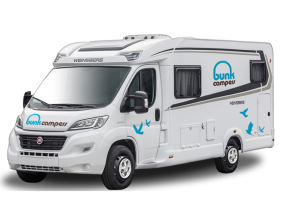 Bunk Campers offer a collection service from Belfast International and Dublin International airports so when you arrive in Ireland we will be there to meet you. 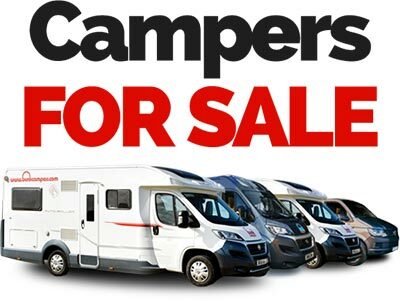 Each vehicle in our campervan hire fleet is less than 3 years old. They are serviced and maintained regularly to an excellent standard. 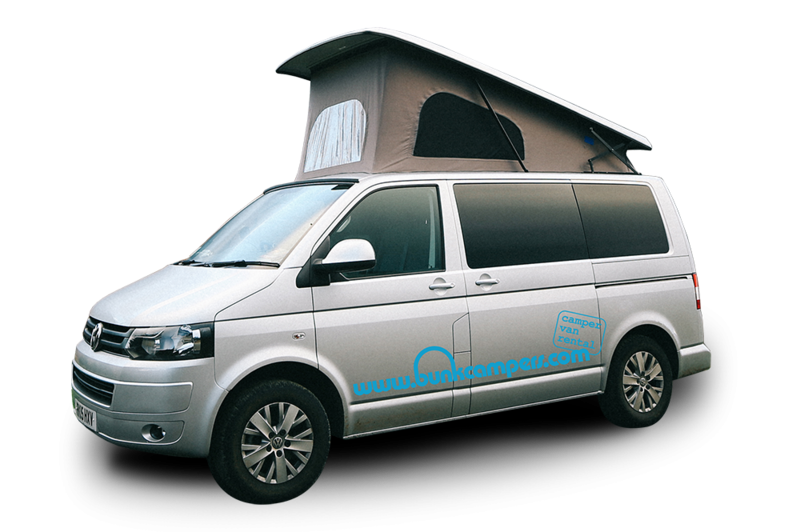 You’ll also receive a full demonstration of all the facilities in the vehicle on check-in meaning you will know exactly how to use each appliance before beginning you campervan rental holiday. 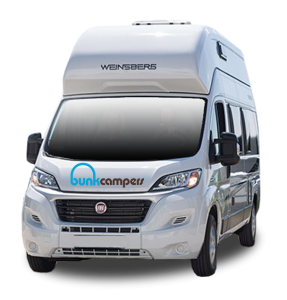 With campervan hire from Bunk Campers you’ll receive 24hr assistance using a nationwide network of customer care partners meaning help is just a phone call away no matter where the Irish roads take you. If we can’t reach you ourselves we’ll find help for you in the local area. 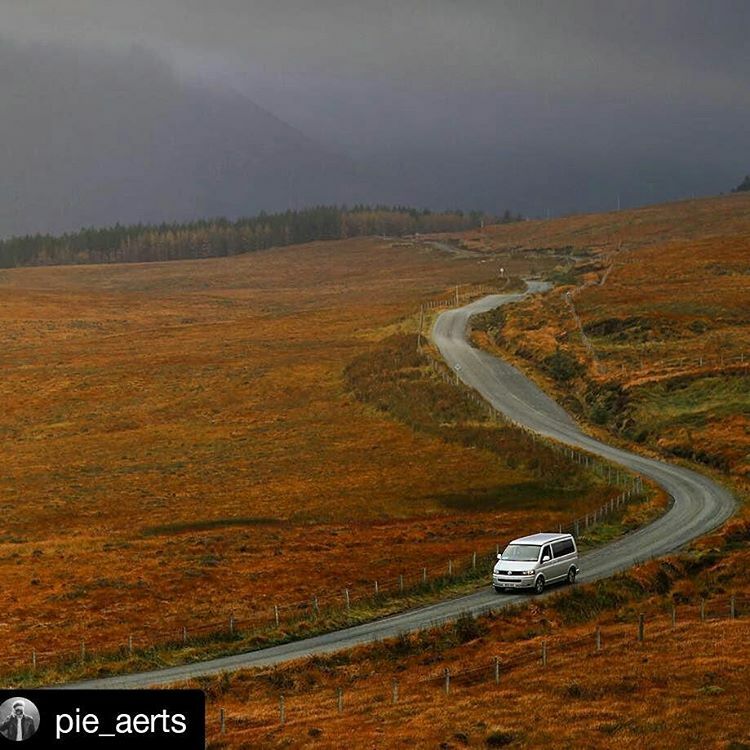 Whether it’s a long haul or a festival hop campervan rental is the ideal way to get connected to places, events and people across Ireland. Sofa space in the campervan and outdoor tables and chairs mean you can be the social hub of your campsite… if that’s what you like. 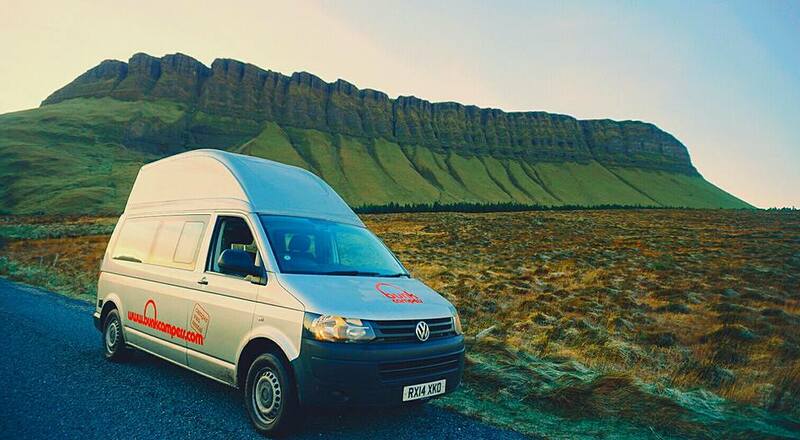 Whether you’re viewing the Irish scenery or sampling Irish hospitality in a country pub, Campervan Rental offers ideal self-drive vehicle hire so you can get off the beaten track and view Ireland as it should be seen this Spring.